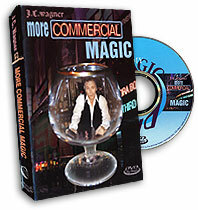 Today, when you order "J.C. Wagner's More Commercial Magic Vol. 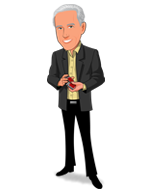 2", you'll instantly be emailed a Penguin Magic gift certificate. You can spend it on anything you like at Penguin, just like cash. Just complete your order as normal, and within seconds you'll get an email with your gift certificate. The sequel to J.C. Wagner's runaway bestseller Commercial Magic, features more of the magic that made J.C.'s book sell-out and his shows and lectures so popular. Once again you get to see his direct and stunning magic live and on location in his natural environment. Torn N' Restored Card -- The outstanding routine where a signed card is torn and restored. This is the routine that inspired all the variations that finally led to the one piece at a time restoration effects. Royal Detectives -- The Kings are used as detectives to find a selected card. The card vanishes from between the two red kinds to appear face-up in the deck between the two black kings. Omni Twist Collectors -- Three selected cards magically appear between the four face up queens as you perform a twisting effect with the queens turning face up and face down. Prediction Out Of This World -- An impromptu Out Of This World routine where a spectator impossibly separates the reds from the blacks and turns over the packets in her hands. At the conclusion a prediction is shown to have foreseen the number of errors she made. Polished Marked Deck -- Two cards are selected from a blue deck. The cards are shuffled face up and face down a couple times. When the deck is spread all the cards are facing the same way except the two selections. As a final kicker the rest of the deck is shown to have red backs. You will also learn the many techniques used within the routines and an in-depth view of the Gambler's Cop.